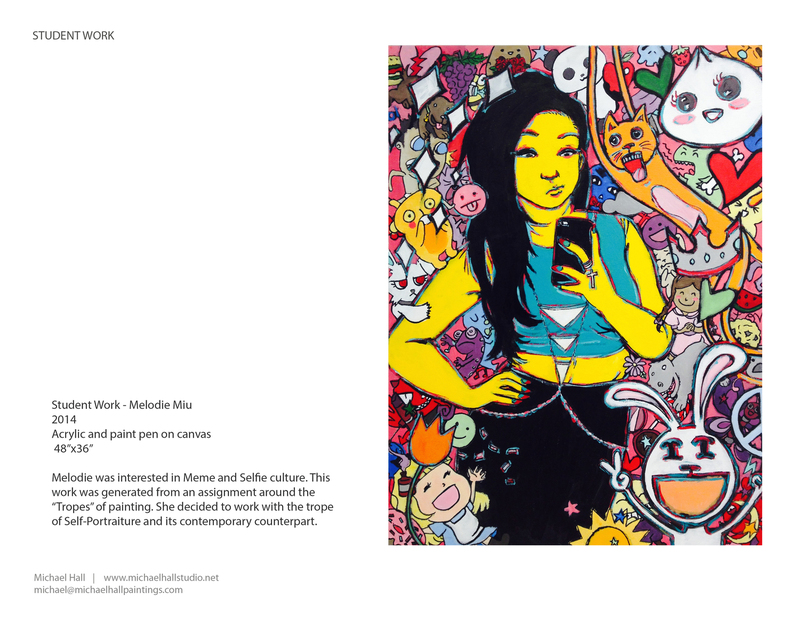 An artsy eclectic blog that's sometimes updated. What a pleasant surprise to come across this when late-night browsing my former professor Michael Hall’s studio art blog. Thank you! You can read more about the painting here. I started this support group with two other friends. I’ve been busy with it since early November and I’m really proud of what I’ve done with it so far. -Sold three scripts last year alone. -One of which, his action-thriller script, PATIENT ZERO, was sold within 6 days during a bidding war to Screen Gems. -Talented young actors including Keir Gilchrist (United States of Tara), Grace Phipps (Teen Beach Movie), Stella Maeve (The Runaways), and Maestro Harrell (Suburgatory) as well as the prolific Peter Stormare were cast into his ghost horror film, DARK SUMMER. Directed by horror film darling, Paul Solet. -Wrote the first draft for PATIENT ZERO while on the production set of DARK SUMMER, more than a year ago. –DARK SUMMER got picked up by IFC Midnight. -Stefan Ruzowitzky, who won the 2008 Best Foreign-Language Film Oscar for The Counterfeiters, is set to direct PATIENT ZERO. -British actors and fan favorites, Natalie Dormer (Game of Thrones) and Matt Smith (Doctor Who), have officially been cast into PATIENT ZERO. 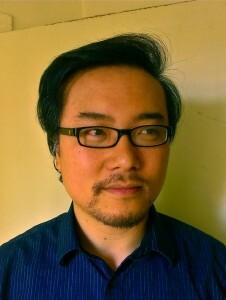 -He continues to tirelessly write numerous screenplays for both TV and film. His compelling storytelling has never been better and he has lots of exciting projects on the way. 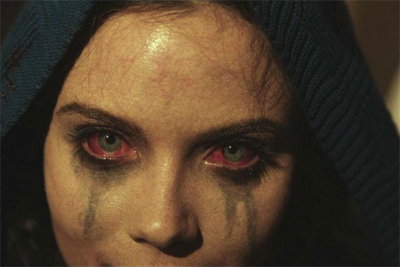 And now the trailer for DARK SUMMER has been released yesterday (video below)! The film will premiere in the United States on Jan. 9, 2015. Mark your calendars!!! 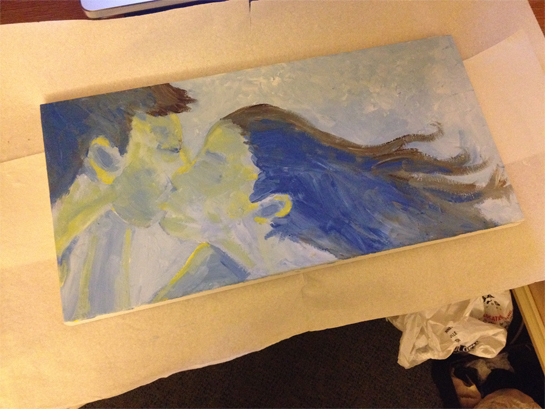 I gave him a DARK SUMMER-related painting as a Christmas/anniversary present that I wasn’t able to show for over a year because of spoilers. 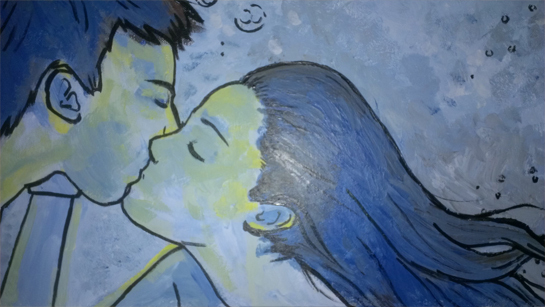 It’s a rendering of an underwater kiss between the actors Gilchrist and Maeve. Done with acrylic paint and markers. EDIT. 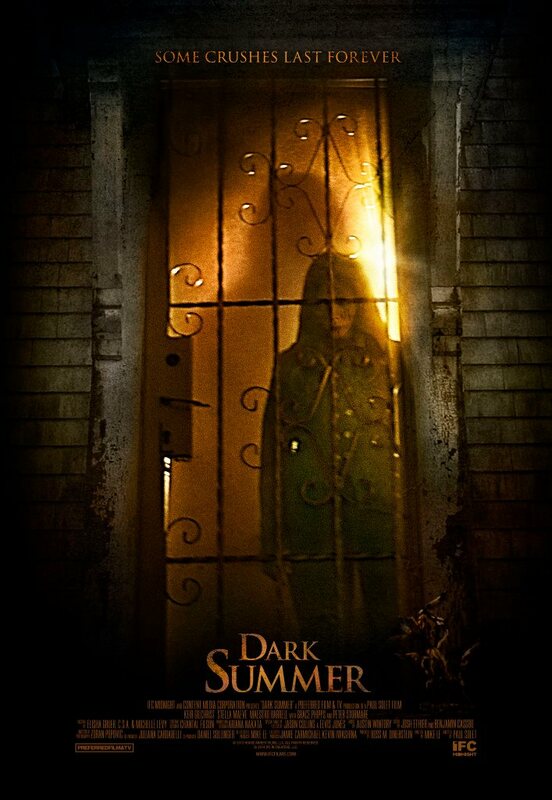 The new DARK SUMMER poster and social media banner has just been released! EDIT. Here’s another new social media banner. 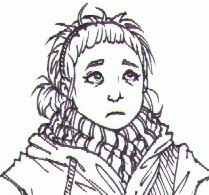 Using this cartoony self-portrait of me. 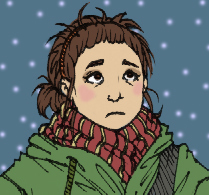 This is actually my first time coloring a scanned drawing so there’s not much shading or experimenting going on. 1) Scan in your drawing. Open it up on Photoshop Elements 8. 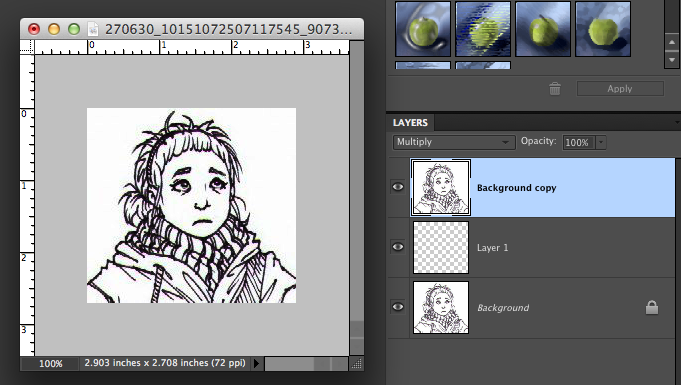 2) Duplicate the Background image. Then make a New Layer. 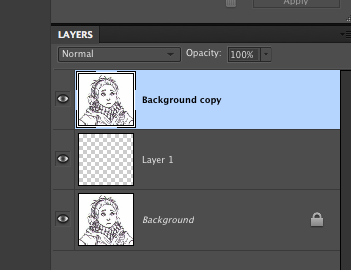 Make sure the New Layer is underneath the Background copy. 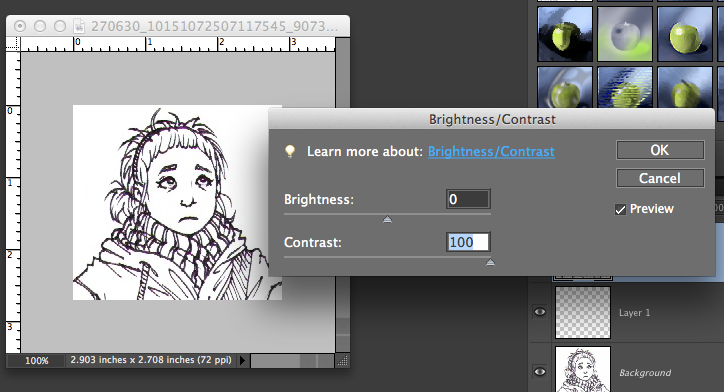 3) Click on Enhance > Adjust Lighting > Brightness/Contrast. 4) When the Brightness/Contrast box pops up, adjust the Contrast bar until it’s 100 until it looks right. The number will range. 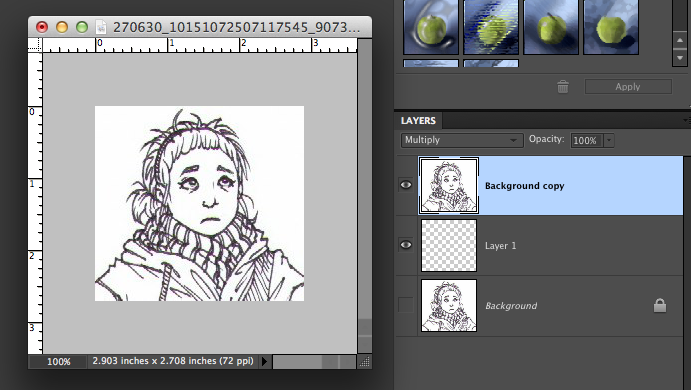 5) Go back to your Layers box. Click on the bar that says Normal and adjust it to Multiply. 6) Now the lines on the image look like they’re bolder. 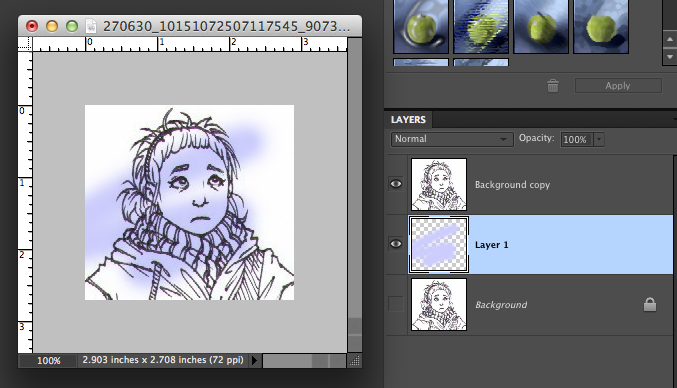 Make sure to hide the original Background layer. 7) Now you’re free to color the image! 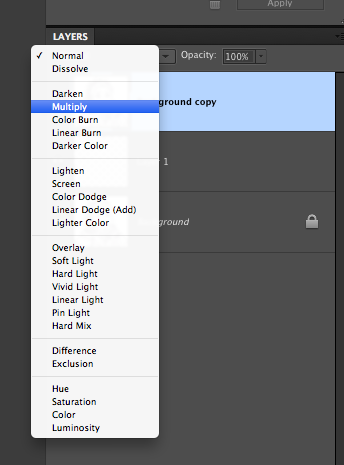 Just make sure that all your color layers are underneath the Background copy, and you’ll be golden. NOTE: Please don’t be that jerk who’d use other people’s drawings/illustrations without permission.